Change is always hard… I don’t like change. I like familiarity. This isn’t a political post… I’m not talking about electing a new president. I’m talking about my church. Changing pastors. It’s hard. I’ve been in my denomination, Free Methodist, since I was only about two years of age! So I’ve seen lots of changes. There’ve been changes in policies and rules, like the negativity of the 40’s and 50’s. A few of them were movies, dancing, make-up, jewelry, bowling, I could go on and on. Today I’m free to do whatever I feel is okay in my personal life. So even though I’m free now, I do very few of those forbidden acts. What I’m referring to, in this post, is the changing of a pastor. 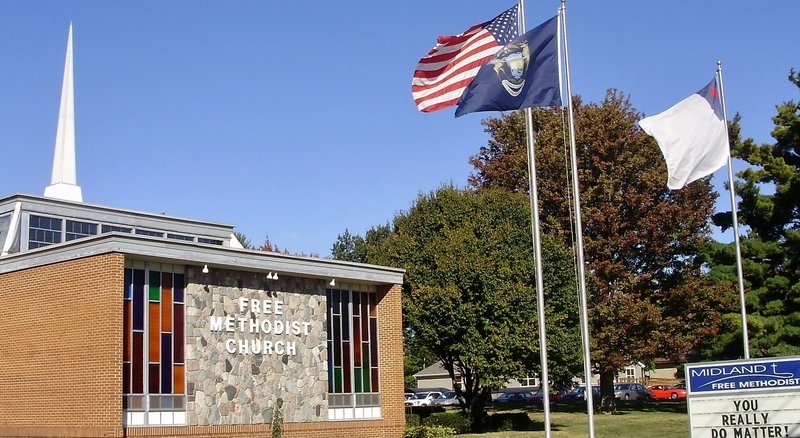 In the Free Methodist denomination, pastors are appointed, not hired by a church. When I was a little girl, it was common for a pastor to be moved after two or three years at the appointed church. 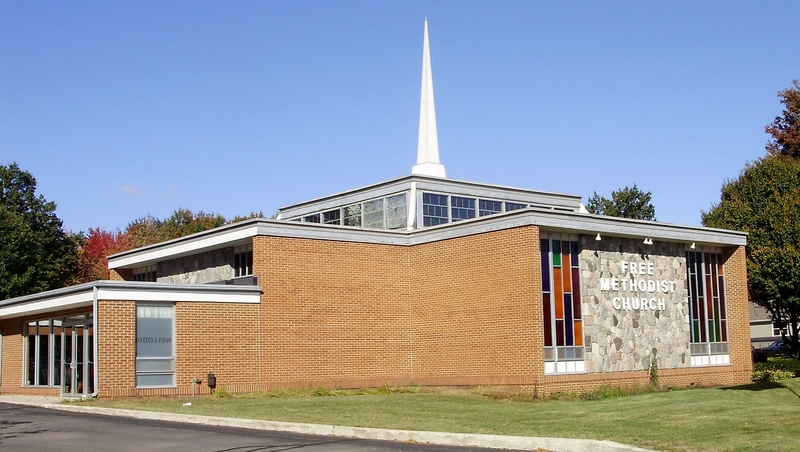 My dad was a pastor and we stayed at the church in Des Moines, Iowa for four years during two different appointments! That was unusual! I want to skip ahead to today. Pastors are still appointed, but the assignment may last for many years. My pastor was here, in my church, for 20 years! I knew him well, he knew me well. I loved him and his wife. One day in May he made the announcement to a few committee folks (I was on the committee) that he had accepted a church in another state. We would be getting a new pastor. Oh…no…my heart dropped. The committee I was on and our conference superintendent met numerous times in order for us to give the superintendent a clear profile of our church family and our needs. We prayed for guidance for the conference committee in searching for a new pastor for us. This went on all summer! We were fortunate in having two assistant pastors who filled the pulpit, so to speak, over the summer. Finally as of one week ago, we have a new pastor appointed to our church! He’s not new to us. In fact, he was an assistant pastor here about fifteen years ago! Finally, another name was brought to us. We were surprised! We hadn’t thought of this person, even though most of us, on the committee, knew him. Here’s his story. When he first heard our pastor was leaving, he began to pray for our church. After all, he knew us, he had been on staff as an assistant to our pastor, years before. Every now and then, our church came to his mind as he was praying and so he’d include us in his prayers. After a while, he asked God what was going on, why a new pastor wasn’t being assigned! Then he said, the thought came to him that maybe…maybe…he was the pastor to answer the call! He wrote to our conference superintendent telling him this and… the rest is history! 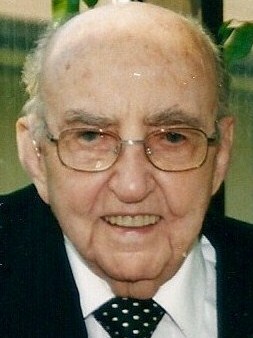 Today Dad would have been 105 years old! He died four days before his 96th birthday! In this picture, Dad was 93! In about 1939 Dad and Mother decided to go to the Waterloo, Iowa Free Methodist Church to hear Dad’s old friends, JK French and Oscar Leper, sing. They were good singers, but Dad couldn’t imagine them singing in church! They always sang in bars! Dad and Mother were pleasantly surprised and even saw a different kind of countenance and lifestyle in their friends and decided to find out what had happened to them. JK and Oscar, along with their wives, told Dad and Mother how they had become born-again Christians and what a difference it made in their lives! After thinking and meditating for a few days, Dad prayed for forgiveness and accepted Christ into his life. Then a few days later, Mother prayed. What a life changing experience for each of them and for their marriage! What a difference in their family life! Breaking old habits were hard but with the help of the Lord and with determination it was accomplished. Dad was a gifted speaker and was sometimes asked by Pastor Walls to fill in for him in the evening services when he had to be gone. He was given an Exhorter’s License in 1941. 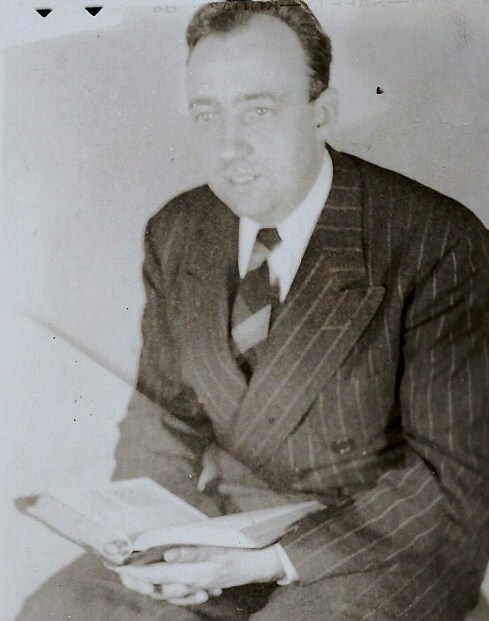 When Pastor Walls was appointed to the Free Methodist Church in Des Moines he asked Dad to consider moving to Des Moines as his assistant. There was a small Free Methodist Church on the east side of the city that he was also responsible for. He asked Dad to take charge of that small church, Fairview Free Methodist Church. The folks at Fairview couldn’t afford to pay a pastor so he would need to work elsewhere at the same time. The move to Des Moines was made. There isn’t room here to tell the story of their trip from Waterloo to Des Moines pulling a trailer with all their belongings. God was definitely in this move! Dad was now working two jobs, cooking in a large hotel downtown and pastoring a small church along with assisting Pastor Walls. World War II was going on in Europe and December 7, 1941 Pearl Harbor was attacked by the Japanese. The USA was thrust into World War II. A young, Free Methodist Japanese couple escaped the exodus of the Japanese people on the west coast and came to live in our upstairs. See former post: World War II Memories-Displaced Japanese Americans. 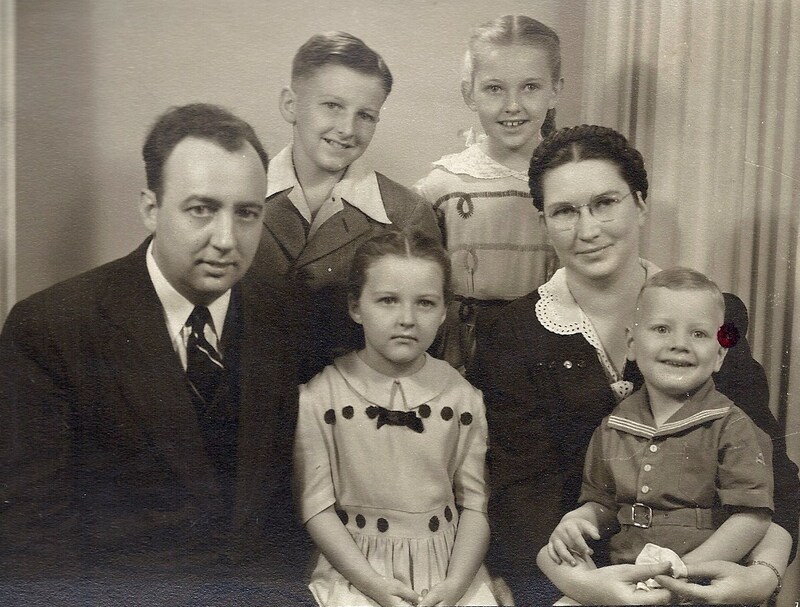 At the beginning of 1942 Mother discovered she was pregnant again with their fourth baby. It was a difficult pregnancy, the baby was due in October. One day in August Dad came home from work finding Mother having convulsions. An ambulance was called. Mother wasn’t expected to live and the baby wouldn’t live either. Friends and relatives came to help out our young family. Grandma Aanas, Mother’s mother, came and stayed to help. The church family was all praying for Mother and for our family. Mother’s body was full of uremic poisoning. She even lost her eyesight. She could see when a person entered the room but she couldn’t tell who it was until the person spoke. Mother’s oldest brother, Obie and Ev, his wife, came to visit and offered to take me home to raise as one of their own, if Mother didn’t live! Dad thanked them and said he’d think and pray about it. The next day, he thanked them but said he couldn’t do it. Somehow he knew the Lord would help him make it through life with his children. On August 25 the doctor’s told Dad the baby would be born that day but he shouldn’t expect the baby to live. They would do everything possible to save Mother. God answered prayer. Mother lived through the delivery. The next morning as Dad walked through the hospital hall one of the doctors met him and said, with a smile, “Say, that little engine is still a puffin!” William Claude weighed 2 pounds, nine ounces! The hospital didn’t have an incubator so they put hot water bottles around the baby to keep him warm! Mother and the baby both lived; Mother’s eyesight returned although she was left color blind. We called the baby, Billy. More changes in Dad’s career came. He quit his job as a chef and became senior pastor of the Des Moines Free Methodist Church. A big change came in the church while Dad was the pastor. There had not been any musical instruments up to this time. In the 1946 General Conference, it was voted upon to have a piano or organ in the sanctuary! He was very successful for not having a college degree and not having been ordained yet. But, somehow he felt he wasn’t doing what God had called him to do. He felt he should be an evangelist! That meant traveling and holding two-week evangelistic campaigns. Dad and Mother began to pray about this and decided God must be calling him to be an evangelist. A house was purchased and the family moved out of the parsonage. Richard and Lorraine, in back. Dad, Anita, Mother holding Billy. Requests came from all over the country for Dad to hold revivals. Many evangelists of that day required a promised certain amount of pay at the end of the revival…but not Dad. Whatever money came in, he accepted. Most of the time it wasn’t quite enough to cover expenses at home and his traveling expenses! The coal bill for the house in Des Moines was a problem. 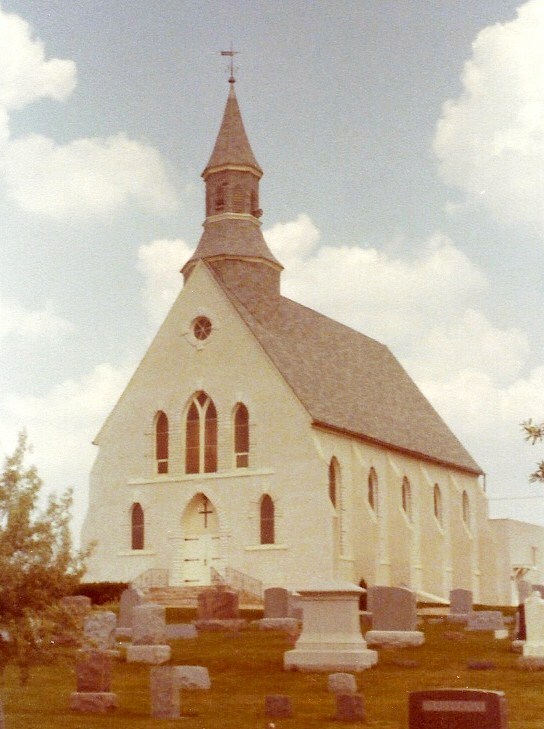 A move to Covington, Oklahoma was suggested, where he had held a revival. The temperature was almost always warm, the people were always warm. There would be no coal bill! So in 1946, the house in Des Moines was sold and a house in Covington was purchased. Dad moved the family to Covington, Oklahoma. We, my husband, Jerry; daughter, Pam; son-in-law, Gene; son, Tim and myself, recently visited some cousins in Iowa. I wrote about this wonderful trip previously. On Sunday morning, we worshiped. However, we were all in different locations! The important thing here is that we worshiped. Lutheran, Methodist, Gospel Hall, Free Methodist, Christian and Missionary Alliance. Here we were, five of us in my family worshiping with seven cousins on this Sunday morning. So here is what our worship looked like: A Lutheran Gene and a Christian and Missionary Alliance Tim attended a Methodist Church with cousin, Lucky. A Free Methodist Jerry attended a Lutheran Church with cousins, LeRoy and Carolyn. Cousin, Kay, who is Methodist, Pam, who is Lutheran and I, who am Free Methodist all attended the Gospel Hall with cousins, Louis, Iris and Bob. Were we able to truly worship? An absolute YES. God, who is Omnipresent, accepts our true and sincere worship, wherever we are. It happened to be All Saints Day. Both the Lutheran and the Methodist churches honored each member, who had died during 2014, with a lit candle. The architecture of all three churches was entirely different. The Lutheran Church was beautiful with very high ceilings and magnificent stained glass windows. There was a sense of reverence as one entered the building. Scripture readings were read and hymns sung before the sermon was given by the pastor. 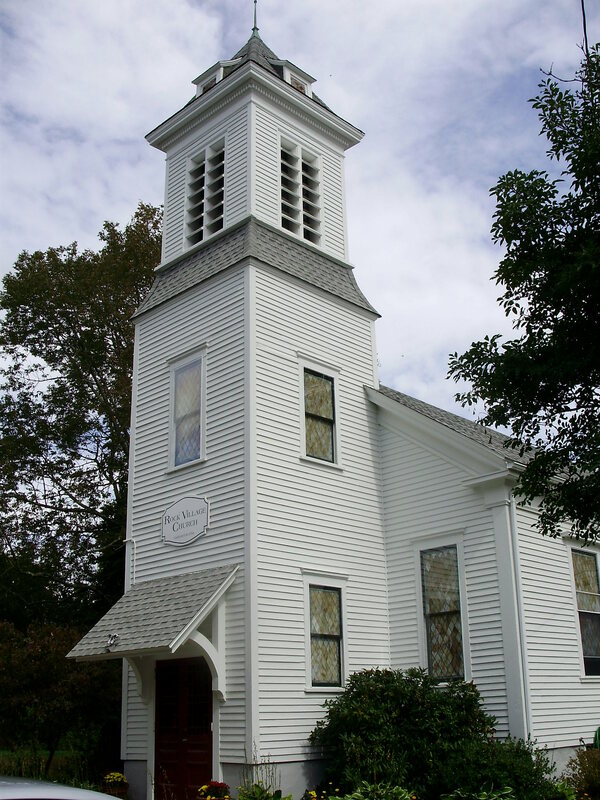 The Methodist Church was a small country church with white clapboard siding, a few stained glass windows. Inside was the typical layout of pews facing the front with the pulpit and alter. Scripture readings were read and hymns sung. There was open communion. A loaf of homemade bread was broken open so each person took a piece and dipped it into the wine. The Gospel Hall was a church building, neat and clean, efficient for worshiping and meeting the needs of the members. I felt welcome, even though as a visitor, I was an observer and could not participate in Communion. I could and did worship. Women covered their heads with a scarf or hat. Only men had active participation in the service, leading the singing of hymns and praying beautiful prayers of praise to God. A few requests were read out loud and prayed for. Chairs were in a square, about five rows deep, with a communion table in the center of the square. Visitors sat in a section near the back of the sanctuary. On the communion table were a loaf of homemade bread and a pitcher of wine. The bread was broken into two halves and passed around as each person took a piece representing the body of Christ. Wine was poured into two glasses and also passed around for folks to take a sip representing the blood of Christ. Three forms of worship all to the same God! All six of us, visitors, worshiped and felt the presence of God! These four pictures of churches are not the churches I’ve written about here. The first one is a very old church, The Church On The Green! 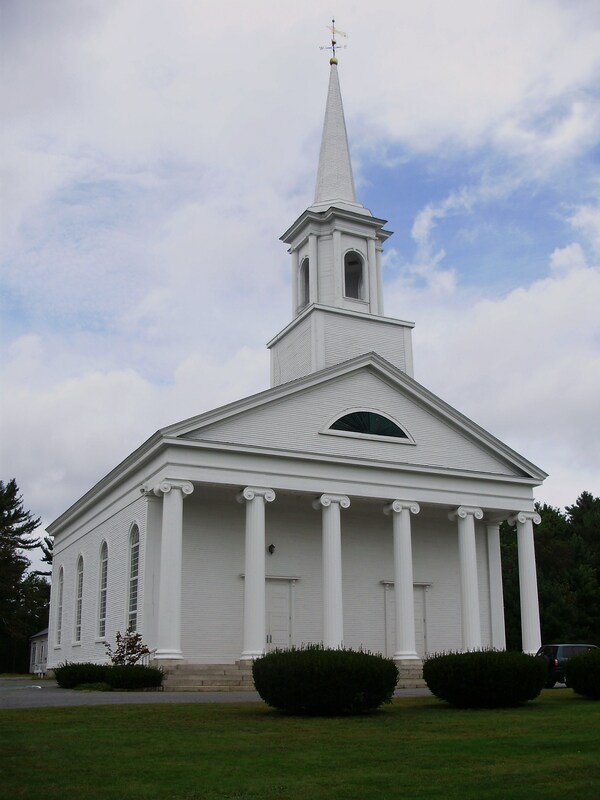 It’s in Massachusetts and today is a Congregational Church. The second one is Stavanger Lutheran Church outside of Ossian, Iowa. The third picture is of a Baptist Church in Massachusetts. The last one is Midland Free Methodist Church of which I am a member. I’m showing them here to put my readers and myself into a worshipful mood! I took all of these pictures.